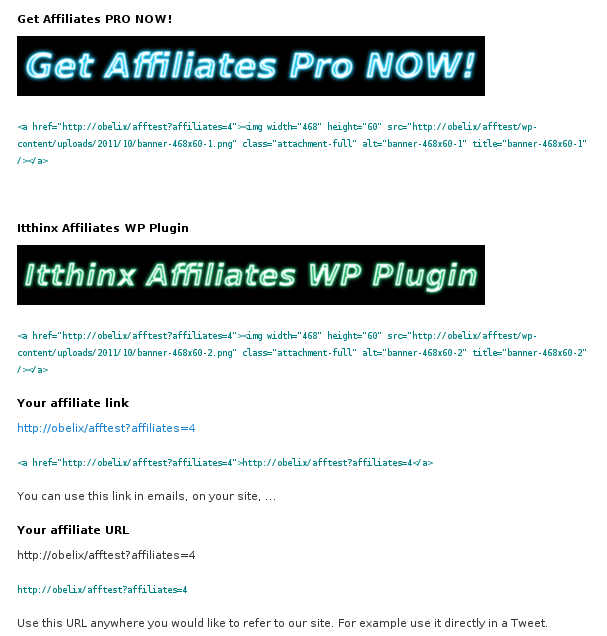 This is an example of a page that provides affiliates their marketing resources. Any number of banners, links and url references can be used on one or more pages using shortcodes. 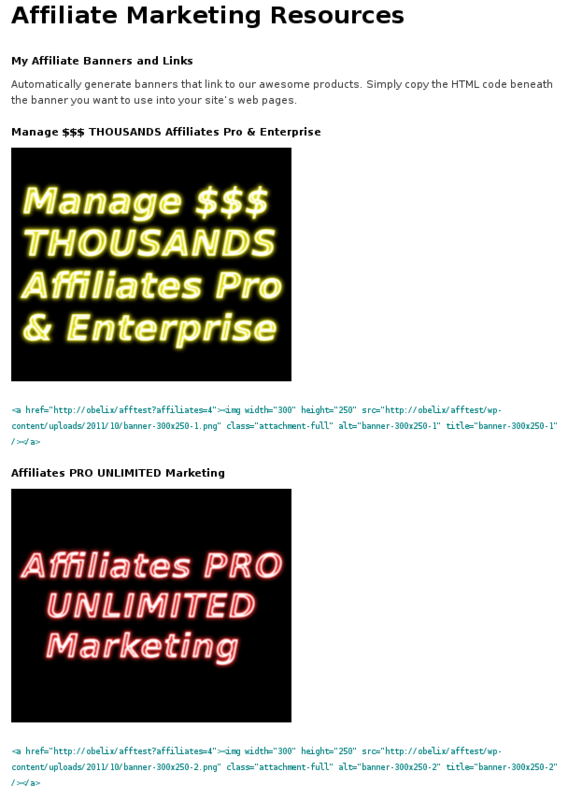 This is another example of a page that provides affiliates their marketing resources. Any number of banners, links and url references can be used on one or more pages using shortcodes. This view is available as a shortcode and is used to show affiliates details about the referrals they have been credited with. 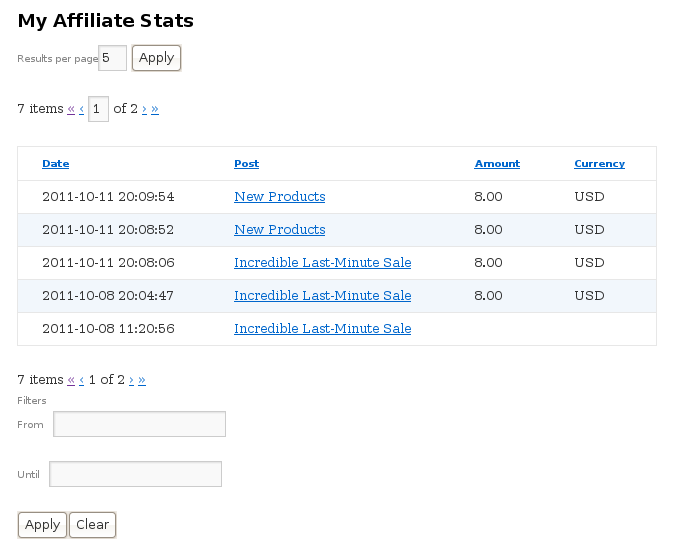 If recorded, these are showing affiliates their earnings for each referral that has been accepted. Rejected or pending referrals will not be shown to affiliates. This view is provided through a shortcode that can be embedded where needed and provides affiliates a quick view of their overall performance. This widget provides affiliates a quick view of their overall performance.